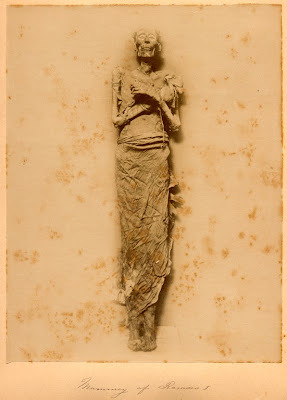 Today, on Mothers' Day, I thought I would explore mummies, both the traditional Egyptian type, and the naturally mummified type. There is a big difference between the ceremonial treatment of the dead through religious mummification ceremonies and the natural processes that can occur in arid or accidental situations. 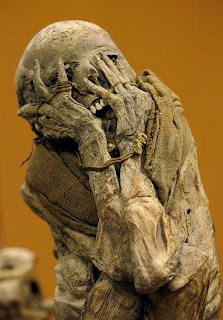 A case in point might be the child mummies of Peru and Chile or, as a sub category of inadvertent cadaver preservation, the bog people (and animals) found in Northwestern Europe, Britain and Ireland. 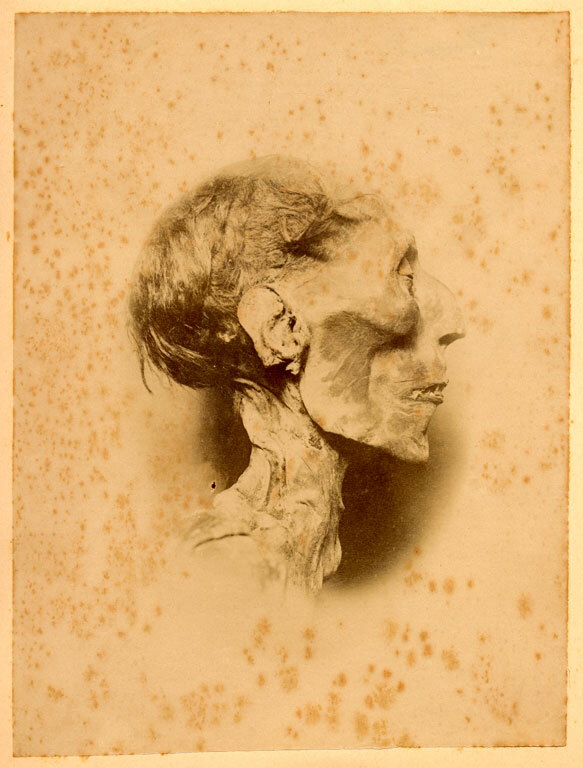 When you compare these to a more contemporary image likely made at the Niagara Museum, there is certainly evidence that the body had been repaired or "retouched", to say the least. In Chile and Peru and along the Andes, are found mummies of usually sacrificial offerings, often children, nestled high on mountaintops or in dry caves. Wrapped in fabrics, they are naturally dessicated and preserved with astounding naturalness. While the Egyptian mummies were eviscerated and embalmed in a warm climate, the Andean mummies were simply placed in a rocky cave to protect them from scavengers. The cold, arid mountaintop did the rest. 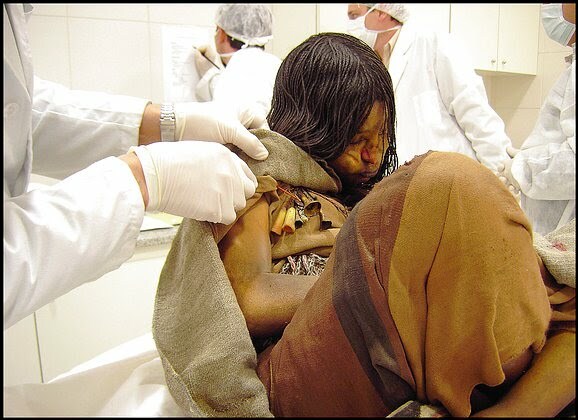 The 15-year old "Llullaillaco Maiden" was sacrificed more than 500 years ago along with two other children on top of Mt. Llullaillaco in northern Argentina, at 22,000 feet. The Chachapoya mummies of Peru were found in caves and are also over 500 years old (above, right). Northwestern Europe, the British Isles and Ireland are known for their extensive peat bogs. 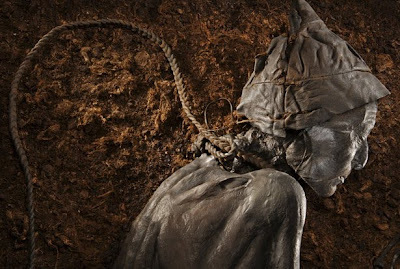 When peat was being harvested, many cadavers and artifacts were found deep within the layers of old peat. Organic material was especially well preserved, one could say pickled. Leather, fabric, wood, animals, and people were unearthed and placed in collections throughout the region. An extensive and wonderful website about the bog people can be found HERE. In many cases there is evidence of human sacrifice or simply murder. Left, is the preserved corpse of the Tollund Man, with the noose used to hang him still around his neck. Many were strangled, but one unfortunate man was killed by at least three different means. The nature of his death was violent, perhaps ritualistic; after a last meal of charred bread, Lindow Man was strangled, hit on the head, and his throat was cut. There are many examples of deliberate human preservation, such as the extensive embalming and restoration performed on Vladimir Ilyich Lenin and Evita Peron. 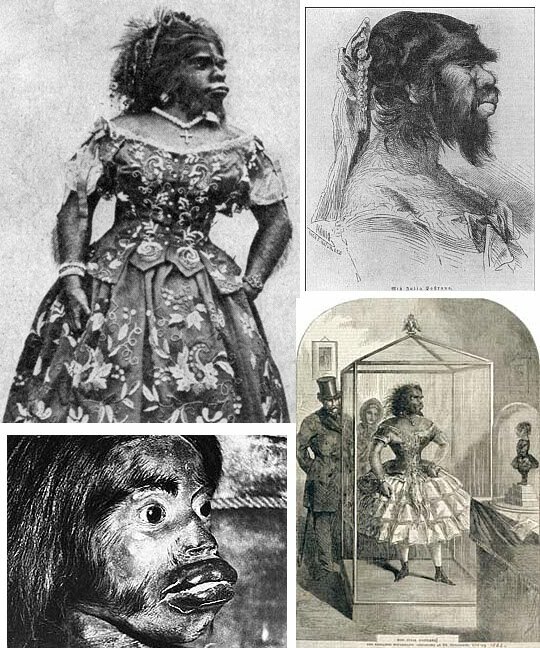 However, few are as grotesque as the preservation of Julia Pastrana (b. 1834), a Mexican First Nations circus performer with hypertrichosis. Theodor Lent managed her and eventually married her. During a tour in Moscow in 1860, Pastrana gave birth to a baby with features similar to her own. The child survived only two days, and Pastrana died of post-birth complications five days later. 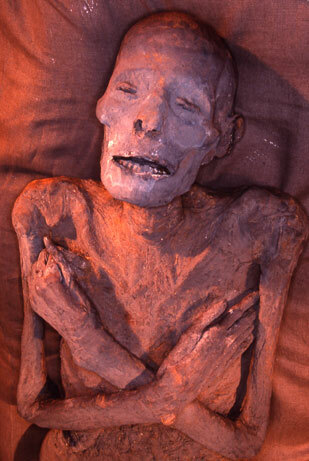 Lent then had his wife and son mummified and displayed them in a glass cabinet. A detailed essay on her life and horrific after-life can be found at The Human Marvels. wow i love this old history stuff its so cool and so exciting.